At LMR & Associates, we recognize that maintaining the positive financial health of your business is essential to your continued success. A business that lacks fiscal organization and leadership can experience challenges. We can help. With decades of experience in small and mid-sized business accounting our professionals are prepared to support you in overcoming the challenges that divert your focus from growing your company. We want to partner with you to provide the critical support and organization you need to help you achieve your business goals. We are not simply a team of bookkeepers. Our accounting professionals provide the experience to help guide your business planning and execute strategies to streamline your processes. As a partner, we are constantly looking for ways to proactively assist in improving efficiencies, and make recommendations that positively affect your bottom line. 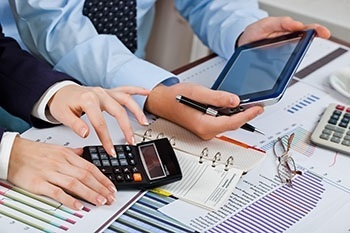 Below is a list of our more popular business accounting and bookkeeping services. For more information or to schedule an appointment to learn how LMR & Associates can help you succeed, please contact us at (734) 266-8120.